As the industry moves rapidly toward the 2018 SEMA Show, the stage is set with an expansive selection of education and networking seminars, special events and interactive experiences for Show attendees to live out firsthand as they see the newest products the aftermarket has to offer. Year after year, the SEMA Show expands on its commitment to build a marketplace for the newest, most transformative technologies of the automotive aftermarket, all in one place in Las Vegas. As buyers, exhibitors and members of the media prepare for the 2018 SEMA Show, we offer this preview of just a few of the features to be found at there. While identifying multiple growth opportunities for the specialty-equipment industry, the recently released “SEMA Advanced Vehicle Technology Opportunities Report” (see p. 328) predicts aftermarket growth potential in some types of driver vision augmentation (DVA) systems. 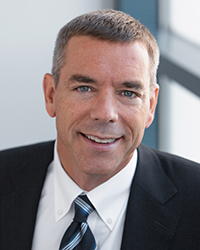 To better understand this advanced driver assistance systems (ADAS) technology, SEMA News turned to SEMA Vice President of Vehicle Technology John Waraniak. 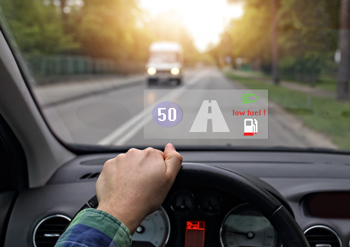 SEMA research indicates that the U.S. aftermarket for advanced driver assistance systems (ADAS) and connected vehicle technologies (CVT), though still in its infancy, can be expected to grow into a $1.5 billion industry within the next five years. With so much at stake in these rapidly emerging technologies, SEMA has made identifying ADAS/CVT opportunities for association members a key priority. The automotive specialty-equipment market experienced an eighth straight year of post-recession growth, reaching $43 billion in 2017. That’s just one of the many important takeaways from the newly released “2018 SEMA Market Report.” Filled with insights about the state of the specialty-equipment industry, the 82-page report also includes detailed profiles of aftermarket consumers, comprehensive industry and economic trend data, and key statistics surrounding the vehicles currently in operation on the roads. The annual report was prepared by SEMA’s market research department and is now available for free download at www.sema.org/research . 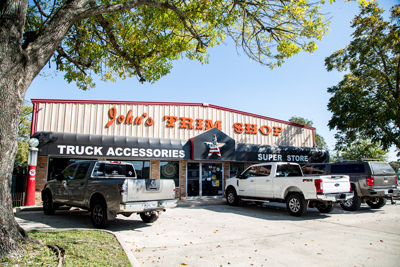 The year was 1953 when John Fehring opened his namesake 2,400-sq.-ft. automotive upholstery shop in Bayton, Texas. There at John’s Trim Shop, Fehrin’s son Ron learned the family trade. But as times changed and the van craze hit in the ’70s and ‘80s, Ron grew interested in more than car and truck interiors. His dad let him expand the business (provided, of course, that Ron invest his own money). Ground transportation improvements make commuting to the Las Vegas Convention Center (LVCC) during the 2018 SEMA Show  easier than ever for attendees. As the single largest gathering of small businesses in America, the upcoming SEMA Show is expected to attract nearly 170,000 industry professionals to the Las Vegas Convention Center (LVCC), October 30–November 2. For more information about any of the following services, visit www.SEMAShow.com/ground-transportation . Each year, the SEMA Show brings together upward of 170,000 specialty-equipment professionals in Las Vegas to network, sharpen their skills and discover new products. The 2018 event is guaranteed to offer new opportunities for attendees to accomplish those same goals. SEMA Trade Shows Director Tom Gattuso offered a preview of what attendees can expect this year, along with his pro tips for a successful week of business. The SEMA Memorial Scholarship Fund awarded $297,000 to 102 individuals this year. The financial awards included scholarships for current students and loan-forgiveness awards to employees of SEMA-member companies. 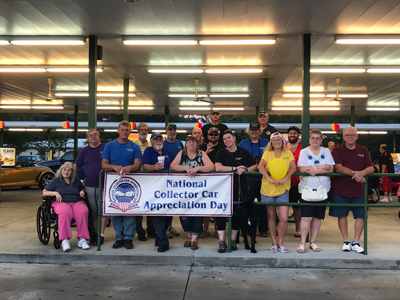 On July 13, SEMA members joined with car clubs, businesses and thousands of enthusiasts to celebrate the ninth annual Collector Car Appreciation Day (CCAD). A wide range of events was held in the United States and Canada to commemorate the special day. The celebration was designated with SEMA-requested companion resolutions introduced in the U.S. Congress by co-chairs of the SEMA-supported Congressional Automotive Performance and Motorsports Caucus. U.S. Senate Resolution 574 was sponsored by Senate co-chairs Sen. Richard Burr (R-NC) and Sen. Jon Tester (D-MT), while House co-chairs Rep. Bill Posey (R-FL) and Rep. Sanford D. Bishop Jr. (D-GA) sponsored U.S. House of Representatives Resolution 980. Louisiana—Military Surplus Vehicles: Governor John Bel Edwards signed into law a bill allowing military surplus motor vehicles to be registered and operated in the state. There was no such allowance under previous law. ’19 Camaro ZL1: Up front, the ZL1 remains unchanged, but it gets a new toned-down rear bumper, new taillights and what appears to be an additional camera built into the wing. ’20 RAM HD 3500 Regular Cab Dually: Current power is delivered from three engines: a 383hp 5.7L V8 with a compressed natural gas option, a 410hp 6.4L V8, and a 6.7L turbodiesel inline-six. ’20 Ford Super Duty F-350 Dually: Super Duty models will undergo some moderate updates, including a new 10-speed automatic transmission and likely some of the driver safety technology that now goes under the Co-Pilot 360 name. Industry news from SEMA-member companies, including Race Winning Brands, Voxx Automotive, APC Automotive Technologies and Premium Guard Inc. The SEMA Garage Tech Transfer program recently added several new items to its computer-aided design (CAD) data offerings. While Australia is a large country that has roughly the same land mass as the United States, approximately 85% of the population lives within 30 miles of the coast. That leaves huge tracts of sparsely populated land perfect for exploring, which has led to a vibrant and diverse 4x4 and off-road culture Down Under. Along with traditional off-road pursuits, such as trail driving and rock-crawling, Aussies also use modified pickups, 4x4s and utes (pickups) to get to mountain-biking or dirt-biking trails, access camping locations, or as work trucks on farms and in mines. Year after year, surveys indicate that one of buyers’ top objectives for the SEMA Show is to discover new products. The easiest way to meet that goal is to visit the New Products Showcase—buyers’ number-one destination at the Show. Located in the Skybridge between Central and South Halls, the Showcase is adjacent to the Media Center, making it convenient for members of the press as well. The SEMA Young Guns regional program was created in 2017 to recognize young talent and foster the future growth of the automotive aftermarket industry. Car builders age 27 or younger throughout the country now have an opportunity to showcase their vehicles at the SEMA Show and receive acknowledgement from within the automotive industry. Several publications have recognized the new talent and highlighted the program’s significance. This month’s headline was a cover blurb on the January 1960 issue of Car Craft magazine. 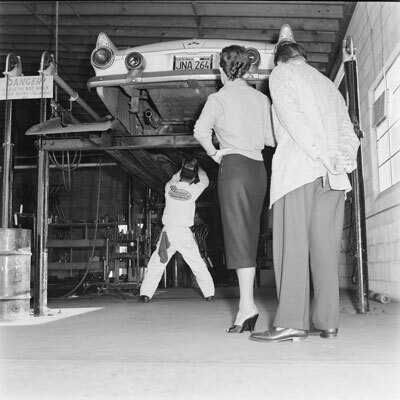 Then, as now, performance enthusiasts wanted to keep their cars from running afoul of local law enforcement agencies and their sometimes-vague excessive noise guidelines.